The WBA is looking to organize a potential Govolkin v Jacobs fight slated for later in the year. Just weeks after Govolkin beat Kell Brook, the WBA is now looking to arrange a Govolkin v Jacobs fight, with both camps so far showing reassuring signs about the bout. The Kazakhstani fighter now holds four titles (WBA, WBC, IBF and IBO) in the middleweight division, following his TKO over Brook at the O2 Arena. Gilberto Mendoza Jr – president of WBA (World Boxing Association) – is looking to unify the middleweight title, and a Govolkin v Jacobs bout would serve as the perfect platform for achieving that aim. If both camps agree terms in due time, the two fighters could face one another on December 10 at the iconic Madison Square Garden in New York. The Govolkin v Jacobs bout would precede a showdown between ‘Triple G’ and Saul ‘Canelo’ Alvarez, which could take place one year from now, in September, 2017, according to LA Times. Oscar De La Hoya – Alvarez’s promoter – has purportedly offered Golovkin a guaranteed purse of $10 million plus a share of pay-per-view money for a match with his fighter. However, Tom Loeffler – Golovkin’s promoter – has sent the opposing camp a counter-offer, believing his client is entitled to a bigger fee, considering his undefeated record of 36-0 that includes 33 victories by KO. The money-crazed trash talking fighters were rumoured to be in talks about a mouth-watering crossover fight, but now it seems that it will remain a beloved fantasy after all for many in the boxing and MMA community. 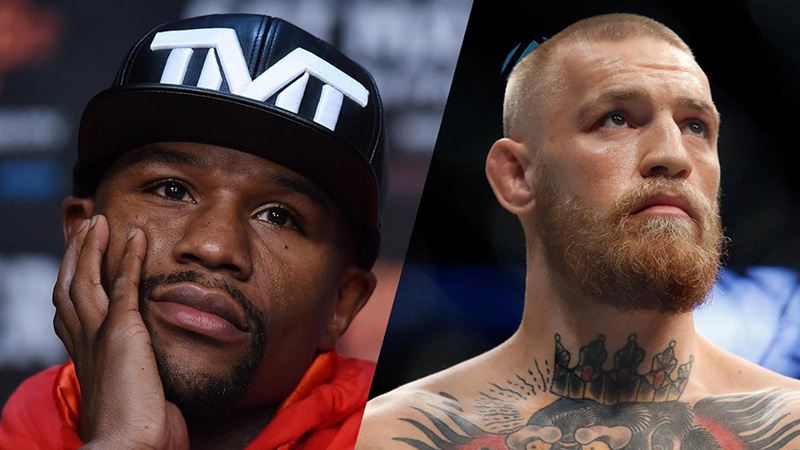 Former boxing champion Floyd Mayweather and current MMA fighter Conor McGregor have previously teased boxing fans about a potential bout between them, despite the former announcing his retirement in September last year. The fight would have pit together a traditional boxer with an MMA fighter – a novelty for a one-off fighting event.